Water Security and Climate Change Conference is now open for Registraton! We are pleased to announce that the WSCC Conference 2017 is now open for registration! In this context we would like to remind you that the abstract submission portal is still open until May 31st, 2017. Don’t miss your chance to contribute to the conference and become a part of the discussion! Achieving water security is one of the major challenges faced by society on both a global and local level today. Building bridges between disciplines, sectors and different groups of stakeholders, the conference will serve as a platform for discussions towards water secure societies. WSCC 2017 provides a stimulating environment with the intention to yield innovative ideas and grounds for implementation. 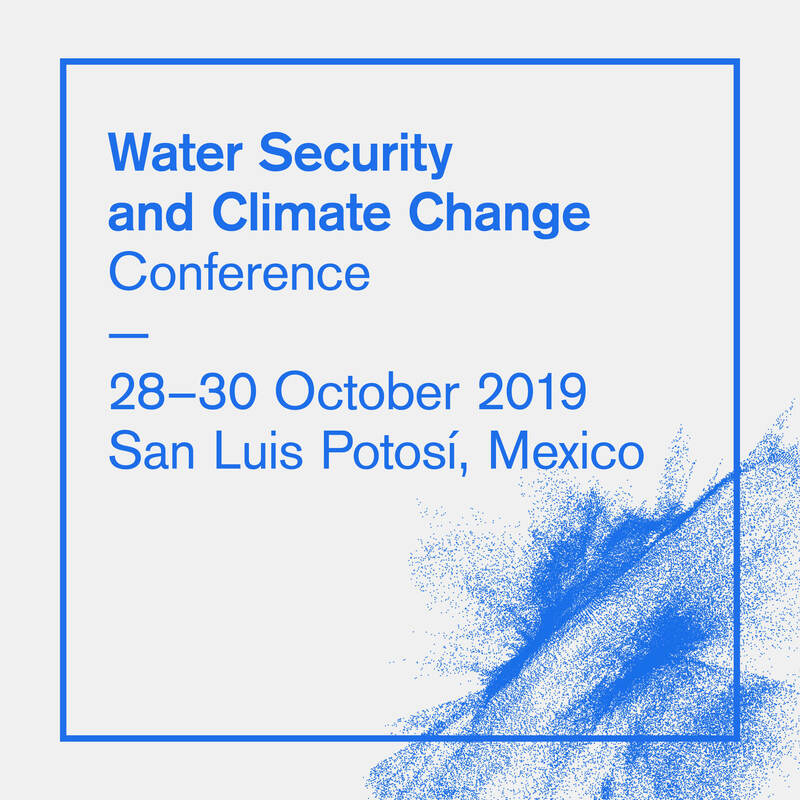 Further information on the Conference, registration as well as the link to the abstract submission platform can all be found on the WSCC Homepage watersecurity.info. The Call-for-Abstracts is now open for the Water Security and Climate Change Conference 2017! 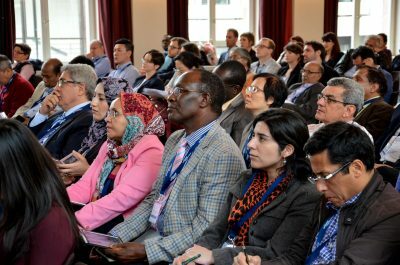 We are pleased to announce that abstracts are now being solicited for the WSCC 2017; organized by the Centers for Natural Resources and Development – CNRD (TH Köln), the International Network on Sustainable Water Management in Developing Countries – SWINDON (TU Braunschweig) in cooperation with Food Security Center – FSC. WSCC 2017 follows the successful conference WSCC 2016 at the Asian Institute of Technology in Bangkok which united over 150 experts. We are pleased to announce that the renowned society of water experts will come together once more for the second international Water Security and Climate Change conference. Academics and practitioners from various sectors are set to discuss the diverse facets of water security in dynamic environments and its relation to climate variability and change. Achieving water security is one of the major challenges faced by society on both a global and local level today. Building bridges between disciplines, sectors and different groups of stakeholders, the conference will serve as a platform for discussions towards water secure societies by providing a stimulating environment with the intention to yield innovative ideas and grounds for implementation. WSCC 2017 follows the successful conference WSCC 2016 at the Asian Institute of Technology in Bangkok which united over 150 experts. It is convened by CNRD (TH Köln) , SWINDON (TU Braunschweig) and other partners of the Exceed network under the umbrella of the Academic Year 2017, which focuses on Water as declared by the Cologne Science Forum . Click here for the Save-the-Date Pdf. Vision or Reality – Benefit Sharing in the Eastern Nile Basin is an educational film produced by the Center for Natural Resources and Development (CNRD). Following two previous case study films (Agricultural Challenges in the Ethiopian Highlands and Gezira Irrigation Scheme: A Struggle for Revival), this film zooms out to a basin perspective and captures the complex issue of transboundary cooperation and a critical moment of development for the entire basin. The Eastern Nile River Basin is one of the most well-known transboundary water basin in the world and of utmost importance for its riparian countries Egypt, Sudan and Ethiopia. It is presently at a turning point as the balance of political power is changing and increasing demands create an urgent need for sharing agreements and cooperation. This film sheds light on the basin characteristics, history and resource use profiles of the countries, but also focuses on tangible examples of transboundary cooperation in the field of trade of resources, financial and technical cooperation and important approaches for benefit sharing. The Research Workshop: “Overcoming the Challenges of Land Use Changes in the Transboundary Mara Basin” took place from the 21st to the 25th of November in the Narok County, one of the counties relating to the Mara River Basin. The workshop is one of this year’s research measures supported by CNRD and was organized by Prof. Dr. James B. Kung’u from the Kenyatta University and Dr. Rui Pedroso from the TH Köln. The Mara River Basin is a transboundary basin shared between Kenya and Tanzania. The catchment area of the basin is ca. 13,750 km². The upper part is 8,941 km² large and located in Kenya making about 65% of the whole basin. The lower part is located in Tanzania with an area of ca. 4,809 km², which is about 35% of the whole basin. It is the lifeline to the Maasai Mara and Serengeti Game reserves, world-famous for their rich biodiversity. Mara River plays a very important ecological role, especially during the annual wildlife migration between the two parks. Mara River also supports very rich natural forests at its source on the Mau Escarpment, large-scale mechanized farming, smallholder subsistence farms, communal pastoral grazing lands and some wetlands. The river drains into the Lake Victoria and ultimately forms the upper catchments of the Nile Basin. The Mara basin is considered to be one of the more serene sub-catchments of the Lake Victoria basin. This perception notwithstanding, there is growing evidence of unprecedented land use change in the upper catchments, resulting from deforestation affecting the headwaters, while current privatization of pastoral lands is attracting immigrants to the watershed with the population growth reaching 7% annually. This deterioration from the “pristine” catchment affects the hydrology of the Mara river and its environments, with great adverse impacts on wildlife and humans. There is need to determine the impacts of land use change on the Mara basin, consequent impacts on the flow regimes of the river and to identify solutions for overcoming the challenges of the land use change. The proposed research workshop will bring stakeholders together to identify the challenges and develop a research proposal for the Mara basin. Researchers from different organizations such as Kenyatta University, ITT TH Köln, Ministry of Environment and Natural Resources, World Agroforestry Centre, Maasai Mara University, UNEP, Kenya Forestry Service, Narok County government and NGOs were brought together to identify the challenges and to give advice on the way forward. Various research methods and tools for the study were discussed to identify changes in land use/cover, hydrology and hydrochemistry impacts. Another focus of the workshop was the identification and discussion of the most suitable landscape rehabilitation methods, their potential impacts on the watershed services and involved costs. From the 14th to 16th of November 2016, a workshop on “Water balance and accounting for the Eastern Nile using advanced methodologies” was hosted by the Water Research Center (WRC), University of Khartoum. This workshop was sponsored by the Center for Natural Resources and Development (CNRD) at the ITT, Cologne University of Applied Sciences. The workshop gathered participants from Ethiopia, Sudan and Egypt, who come from academia and governmental bodies. In the three day workshop, intensive sessions of presentations and discussion were conducted. 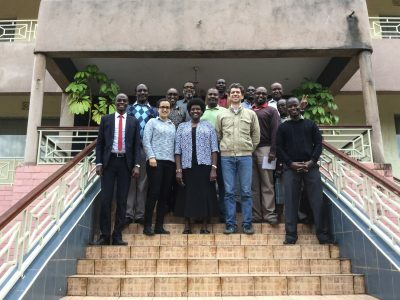 The main theme was investigating the potentiality of using advanced methodologies, products and tools in water balance and accounting for the Eastern Nile region. The sessions included presentations covering a wide spectrum of data, methods and tools which could be useful in developing accurate water balance and water accounting for this area. Among others, sessions included cases on using remote sensing to estimate actual evapotranspiration and rainfall and evaluating hydrological models. Several participants showed applications of using remote sensing to manage surface water and groundwater, and many applications on identifying potential water harvesting sites. Many participants contributed to the theme by showing case studies of real applications of products, methods and tools. For instance, using remote sensing data to advance multi-criteria drought index, and using satellite-based actual evapotranspiration to analyze the efficiency of water use in agricultural schemes. Moreover, validation of open-source precipitation data on river basin level and using these data for water accounting in the Nile basin region were presented and discussed extensively. Results of the fruitful discussions during this workshop emphasized the importance of advanced approaches in water resources management generally, and specifically in estimating water balance and conducting water accounts. One of the major outcomes of this workshop was developing a research concept using these advanced approaches for water accounting to ensure food security in the region. This research concept has potential to act as a collaborative effort, where researchers, governmental bodies and other stakeholders could work jointly in using these advanced data and tools and following these up-to-date methods. The ultimate goal of this research is to develop useful products needed by end users to ensure water and food security in this area. Here is a short film by the Deutsche Welle Akademie, which presents the Exceed project and how it tackles wicked problems such as forced migration. The program “Higher Education Excellence in Development Cooperation” (Exceed) is composed of five German higher education institutions – Technical University Braunschweig, University of Hohenheim, University of Kassel, TH Köln (University of Applied Sciences) and Ludwig-Maximilians-University München. 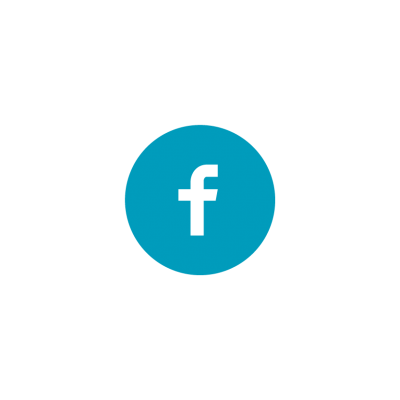 Exceed was established by the German Academic Exchange Service (DAAD) in 2009 and funded by the Federal Ministry for Economic Cooperation and Development (BMZ) since its inauguration. 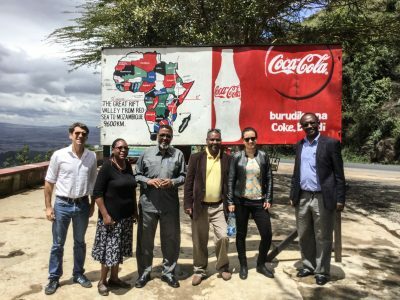 Since then, these centers in collaboration with their 37 partners in developing countries, have been establishing think tanks to contribute to the post-2015 development agenda. 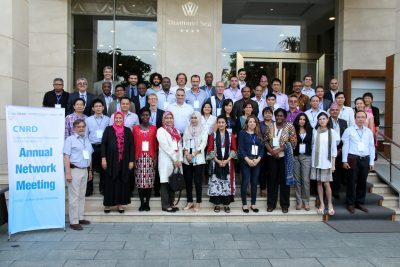 From October 31 – November 04, 2016, 36 representatives from 20 CNRD partner universities as well as members of the CNRD Advisory Board came together at this year’s network meeting, hosted by Vietnam Academy of Water Resources (VAWR) in Da Nang, Vietnam. Particularly gratifying at this year’s meeting was the participation of four new partners of the network. This shows, on one hand, the high relevance of CNRD and its topics in this world. On the other hand, the network expansion is also a confirmation of the efforts made so far and the work done in recent years. The fact that all new partners have been integrated directly into the planning of the activities for 2017 is a positive signal for the future and represents a further milestone in the consolidation of a sustainable network, which has declared its goal to continue even after the end of the funding period in 2019. Following this logic, the meeting focused on strengthening sustainable collaboration structures among the partners, defining future activities and developing an outlook for the following years. The network meeting started with warm welcome notes from the hosting university CNRD partner Prof. Tung Phong Nguyen and the Director General of VAWR Prof. Nguyen Vu Viet. The first day of the network meeting was conducted in form of a symposium. CNRD had the opportunity to present its activities and achievements of the last years to the public and regional stakeholders from the Ministry of Science and Technology (MOST), Ministry of Agriculture and Rural Development (MARD), the World Bank (WB), representatives from CNRD’s donor the German Academic Exchange Service (DAAD) and Asian Disaster Preparedness Center (ADPC) – just to name a few. In various roundtable discussions, potentials for cooperation within the scope of research and education were elaborated and identified. A basis for future cooperation was created. In the short time of the meeting, it was possible to successfully define the planning for 2017. Through intensive cooperation of the participants, numerous activities were prepared and a concrete schedule was made. Noteworthy and appreciated by all participants was the exploration of common interests and the interdisciplinary approach of the CNRD. Particularly pleasing is the fact that different (new) working groups were formed here and that these common interests have been transferred directly into joint workshops and other activities. Migration is currently one of the main issues worldwide, however, the topic is not as new as often suggested by the public media. The reasons for migration or rather people are forced to escape from their living environment are manifold. They are not only fleeing from war, violence, suppression and persecution, but many thousands are leaving their homes because of hunger and poverty induced by a lack of economic opportunity, an ever-increasing degradation of their natural environment and the growing number of natural disasters. As focal point of the Centers for Natural Resources and Development, the Institute for Technology and Resources Management in the Tropics and Subtropics (ITT), TH Köln together with four other universities organize the first exceed Conference on “Forced Migration – environmental and socioeconomic dimensions” from the 19th – 20th October 2016 in Berlin. In 2009, five German higher education institutions – Technical University Braunschweig, University of Hohenheim, University of Kassel, TH Köln (University of Applied Sciences) and Ludwig-Maximilians-University München – were selected to be part of the Excellence for Development Cooperation (Exceed) Program by the German Academic Exchange Service (DAAD) and the German Federal Ministry for Economic Cooperation and Development (BMZ). Since then, these centers in collaboration with their 37 partners in developing countries, have been establishing think tanks to contribute to the post-2015 development agenda. These five Exceed centers have now combined their forces to take a closer look at the environmental and socioeconomic dimensions of forced migration together with scientists, politician and the public from all around the world by organizing this first Exceed conference. During the course of the conference, current research results were presented, challenges were discussed and new strategies to prevent forced migration were identified in an interactive conference set-up. After two days of intensive work, proposals and ideas for cooperation projects on the topics of development-induced displacement, water security, decent work, food & nutrition security and many more were developed. Particularly noteworthy are the many south-south cooperations that were formed. The focus of their work is on aspects of rural areas (agriculture, health), but also on the analysis of the effects of forced migration on the economies of different countries. More specifically, there will be workshops in 2017, research groups have been formed and networks were created. It is currently being considered to incorporate these diverse topics into the framework of a follow-up conference in 2017, thus providing the different working groups a platform to present their results of the project in 2017. The annual CNRD Network meeting will be held in Da Nang, Vietnam, from October 31st to November 4th, 2016. Here, representatives from thirteen worldwide members of the CNRD network gather to discuss the relevant issues of the network, share their experiences and decide on the activities for the following year. The first day of the meeting is organized in the form of a symposium in which the network’s activities are presented to regional and national organizations and potential areas for future cooperation are highlighted. International experts from academia and political stakeholders from Vietnam come to Da Nang to attend the event; these include representatives from the Ministry for Agriculture and Rural Development (MARD), the Ministry of Education and Training (MOET), the Ministry of Science and Technology (MOST) and the Ministry of Natural Resources and Environment (MONRE). 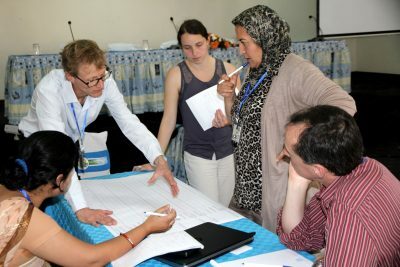 Moreover, representatives from global directed organizations, such as the Deutsche Gesellschaft für Internationale Zusammenarbeit (GIZ) as well as the CNRD-exceed project funding organization, the German Academic Exchange Service (DAAD) will participate to foster a community of practice on natural resources management and development. The results of the discussions and the high density of experience presented during the network meeting serve as a framework for a future strategy and increases the visibility of the CNRD network in its field of interest – natural resources management. CNRD is a worldwide university network promoting academic exchange and cooperation in the area of natural resources management, in particular related to water, land, ecosystem and renewable energy resources. The network aims to provide a valuable contribution to the Post 2015 Agenda and to the Sustainable Development Goals (SDG).